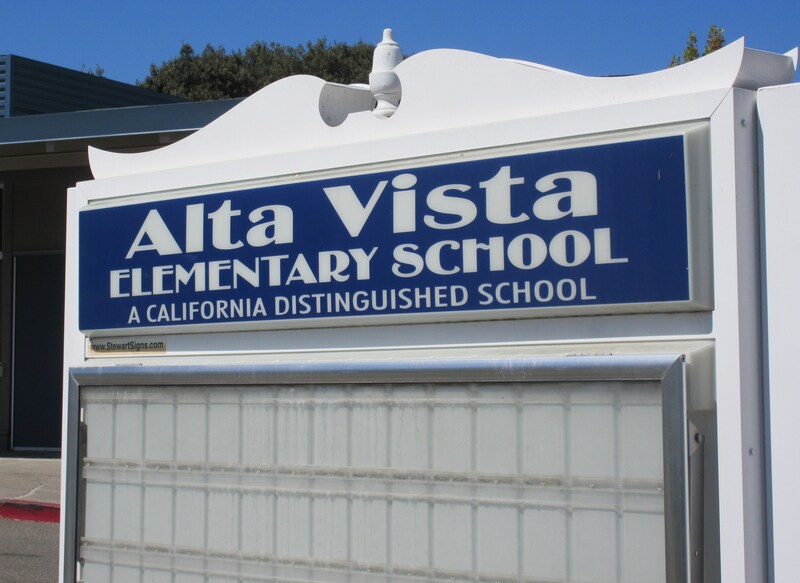 ﻿Welcome to Alta Vista's Kindergarten! This year, the kindergarten classes will be having weekly modified Wednesdays. On those days, the afternoon classes' schedule is 10:00-1:20. This gives the children in both the afternoon and morning classes a chance to meet one another as well. We use Scholastic News, "Let's Find Out." Students in kindergarten are introduced to basic relationships, emphasizing the geographic and historical connections between the world today and the world long ago. We use many common core resources, and a big part of our program includes Guided Reading/Daily 5 small group instruction. Children will be learning letter-sound correspondences both in isolation and within text. Two new letter sounds will be introduced each week for the first trimester. Children will also be introduced to 40+ sight words. We will be learning blending, segmenting, counting syllables, and recognizing punctuation. Children will be exposed to many genres of stories, and will be expected to ask and answer questions about key details in the text. Children will use writing to compose opinion pieces, explanatory texts, and narratives. Common Core standards are implemented using the Eureka Math program. Children will learn to recognize numbers 0-20, and counting to 100. They will understand the relationship between numbers and quantities and the terms more, fewer, and equal. They will learn addition and subtraction facts within five with fluency, and will be able to solve facts within 10. They will also learn the names and characteristics of solid and plane shapes. We will be implementing the Next Generation Science Standards (NGSS) through a program called "Mystery Science." Hands-on science experiments and activities are incorporated into units on Force, Weather, and Plants & Animals. Students learn that scientific progress is made by asking meaningful questions and conducting careful investigations. We go on two field trips in kindergarten, in addition to having an in-class presentation from YSI. Our first field trip is in the winter, and we will be going to see a play. Our second field trip is in the spring, when we go to Emma Prusch Farm. Late in the year, YSI comes to the kindergarten classroom to do a presentation on Life in the Pond.